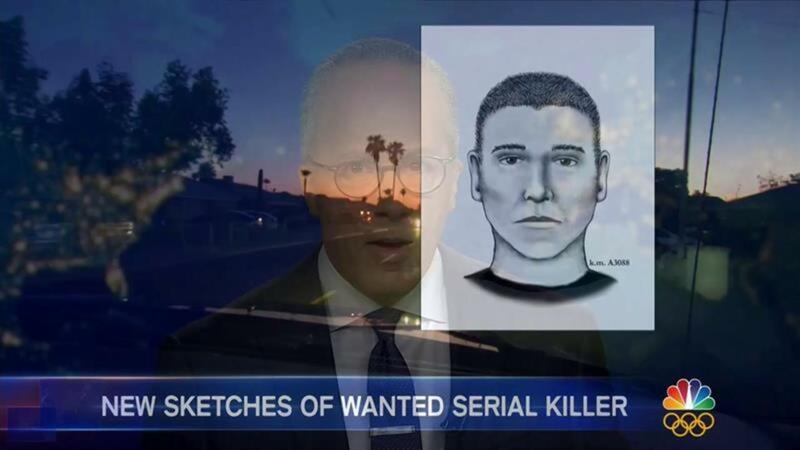 Police hunting a serial killer in Phoenix, Arizona, thought his string of crimes had ended in mid-June when he ambushed and fatally shot two women and a 12-year-old girl in their driveway. But investigators announced Wednesday that they have added a ninth shooting to the pattern — a July 11 incident in which the gunman fired at a man and a 4-year-old boy sitting in a car. Neither was injured. The new incident means that the shooter tried to kill again even after police had put the city on alert. "The threat is still alive," Phoenix Police Sgt. Jonathan Howard said on Friday. "We don't want to see anybody else get hurt. We want to make an arrest and stop this," he added. "We're fortunate in this new incident that nobody was injured." But, he added, "if there can be a benefit to something like this, it's that we did obtain additional evidence." Based on witness statements, detectives now believe the suspect has access to several cars — one appears to be a white Cadillac or Lincoln, and the other is a late '90s or early 2000s 5 series BMW. Howard said investigators have looked into whether the gunman works as a mechanic or on a used car lot. The motive for the shootings remains as elusive as his name. "Why? Why? I know I'll never understand," said Sylvia Ellis, whose daughter Stefanie and granddaughter Maleah were killed in a June 12 shooting. She asked for anyone with any information about who the suspect might be to contact police. "Help us," she said. "We don't want any more lives lost. He needs to be caught." Although police have added several shootings to the pattern since it was originally announced, Howard said they are "pretty confident" they now have uncovered all the reported incidents. In each case, the victims were attacked near their car or home, in the evening or very early morning hours, in the working-class Maryvale section of Phoenix. Law-enforcement sources say there is physical evidence tying the shootings together. An unoccupied car shot up at 2:35 a.m. on June 12. The Texarkana Moonlight Murderer: The killer, who was never identified, is credited with terrorizing the town of Texarkana, Texas in 1946 by attacking eight people in ten weeks, creating panic. Béla Kiss, the Vampire of Czinkota: This accused Hungarian serial killer is believed to have murdered at least two dozen women and kept their bodies in giant metal drums. He eluded police for years. The Servant Girl Murders: Three years before Jack the Ripper began his deadly attacks across the ocean, a killer preyed upon the city of Austin, Texas in the 1880s. He would attack men and women in their beds, although not all of his victims died. According to reports more than 400 men were arrested over the years for the crimes, but no one was ever convicted.